Our entire staff is dedicated to keeping you satisfied and your teeth looking great. Our comprehensive dental care is state-of-the art and affordable. The cheerful team at Sexton & Carner, DDS works to make your family’s dental care as comfortable and individualized as possible. We want to hear from you. Tell us what you like, or what we can change, to provide you and your family with better dental care services. View our Before & After photos of restorations to our patients' teeth. Sexton & Carner, DDS is a comprehensive family practice offering general and cosmetic dental services. We treat each patient with an individualized approach and offer the best, gentle dental treatment available. We serve Oregon, Ohio as well as the greater Toledo area. Give us a call at 419.693.6872 for your dental care needs! 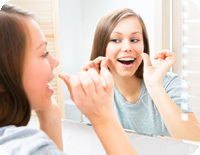 Routine teeth cleanings remove plaque and help prevent gum disease, tooth pain, and tooth decay. We take steps to make our patients as comfortable as possible during routine teeth cleanings and examinations. Crowns provide additional support for teeth, can mask an implant, or mend broken teeth. We use bridges to fill the gaps of missing teeth. A bridge makes chewing easier and prevents surrounding teeth from shifting out of place. Sexton & Carner, DDS, offer affordable, comfortable dentures and partials to replace lost or missing teeth and improve your chewing ability. 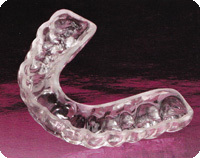 We can fit you with full dentures or partial dentures to meet your needs. We use white fillings to treat damage caused by tooth decay, as well as fractures and cracks in teeth. Our dentists make tooth fillings as easy and as comfortable as possible for you. Our entire staff is dedicated to keeping you satisfied and your teeth looking great. Our comprehensive dental care is state-of-the art and affordable. Call us at 419.693.6872 to schedule an appointment with us today!